Tobacco use in the United States has declined greatly over the past two or three decades. That might sound impressive, though, until you also hear that approximately one in four men still smoke every day and one in twenty women. Indeed, new data form the Global Burden of Disease study reveals that daily smoking—on a global scale—has fallen by 28 percent for men and as much as 34 percent for women. More importantly, however, the study also examines that even though the rate of smoking has fallen quite significantly over the past couple of decades, the number of daily smokers—around the globe—continues to rise, every year. The study suggests that these numbers are going up because of great population growth. 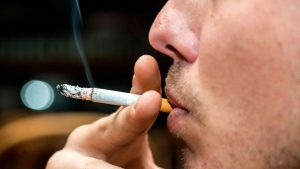 “Robust tobacco control efforts have led to progress in reducing the deadly habit of smoking in much of the world, but much more can be done,” explains senior author Dr. Emmanuela Gakidou, who is a Professor of Global Health at the University of Washington’s Institute for Health Metrics and Evaluation (IHME) in Seattle. According to the study, 11.5 percent of the 6.4 global million global deaths in 2015 can be attributed to smoking. Interestingly, too, the study describes that 52.2 percent of these deaths occurred in four countries: China, India, the United States, and Russia. These are, after all, the most populous nations. Smoking deaths, then, account for roughly ten percent of all deaths around the world, according to the study. As such, the World Health Assembly, in 2003, introduced the adoption of the WHO Framework Convention for Tobacco Control (FTC). The WHO FTC was actually ratified by 180 parties, establishing a new path for implementing stronger tobacco controls.